You can download free trial versions of our products and use it for 30 days with no restrictions. If you like one of our products, you can easily turn its trial version into a full version later. Shadow makes sure no single track of your secret online activity will be left on your computer. It is premiere, full featured program designed for everyone who wants to take care of his own privacy. 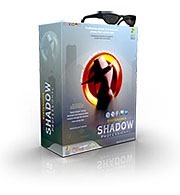 With Shadow you can permanently eliminate all tracks of your web activity, you can hide all your downloads in your secret hidden folder, you can put all your secret bookmarks and passwords into bookmark editor which will be accessible only by you and you can permanently delete files in the way that they can never be recovered. Shadow is specially designed to be easy to use and reliable in all situations. 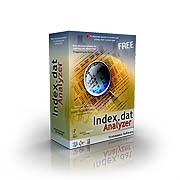 Index.dat Analyzer is a tool to view, examine and delete contents of index.dat files.